Elder abuse is similar to other types of domestic abuse, and it can occur nearly anywhere: in nursing homes, in relatives’ homes, and even in the victim’s own home. It includes active abuse (physical and psychological), but it also includes actions which are deemed to be neglectful, and which are considered passive forms of abuse. Financial exploitation and healthcare fraud also fall under the category of elder abuse. Unfortunately, personal injury claims involving elder abuse and neglect are very common — although it’s hard to get an accurate picture about just how serious this problem is, primarily because so many cases are never reported. 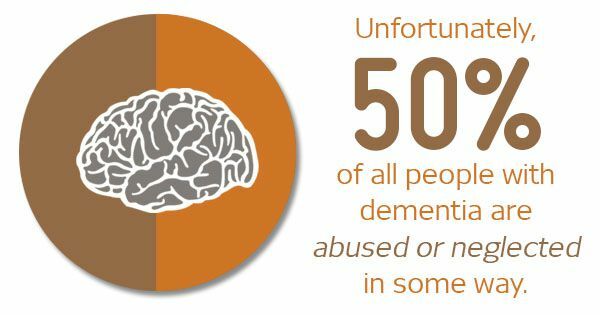 The most accurate data estimates that about one in every three nursing homes in the U.S. has housed elderly residents who have been abused/neglected by other residents or by staff members, and it’s estimated that about 50% of all people with dementia are abused or neglected in some way. One study found that in a short, two-year period, 5.283 nursing home facilities in the U.S. (about 30% of all U.S. nursing homes) were targeted under personal injury claims for cases of abuse/neglect. Considering that about 1.6 million people currently live in nursing homes in the U.S. today, elder abuse affects a huge portion of the country’s population. How is elder abuse reported and prevented? There are laws at both the federal and state levels to protect senior citizens, but elderly people unfortunately make for easy targets of abuse; many elderly people don’t feel comfortable speaking up, or they simply don’t even remember that it happened at all. Many times, another bystander or family member speaks up after noticing that something isn’t right, and damages are sought through personal injury claims. Elder abuse often isn’t intentional, but it’s still very serious. As a caregiver, it’s important to pay close attention to older patients and to find healthy ways to alleviate stress. As a friend or family member, try to keep a close eye on any behavioral changes, increased isolation, or sudden health problems that your relative or friend encounters. If you suspect that abuse/neglect is happening but you have little concrete proof, it’s better to speak up (and possibly be wrong). You might just save a life!